The easiest way for you to support the band is to come along to our next performance! It is fantastic to have an appreciative audience. It is a big help when people can contribute either in the band room or when we’re out doing performances (compere, set up, transport, front of house, etc). We are currently overhauling our library of over 4000 pieces! So if you have some time to spare we would greatly appreciate it as it is a large job! Use the donate button below to support the band in embarking on their historic European tour. All donations are gratefully accepted. Some of our biggest costs are keeping our library of music up to date, and keeping our stock of musical instruments in good condition. Between $50 and $150 can buy a new piece of music for the whole band. $300 can pay for an overhaul of an instrument. 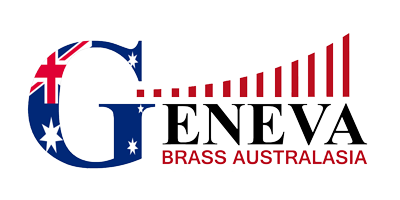 Between $2000 (cornet) – $10000 (tuba) can buy a new instrument for the band. If you would like to make a donation for a specific purpose, we can arrange for suitable acknowledgements to be made, for example in the program at performances, or a plaque or engraving on an instrument. There are also some very talented arrangers in the band who would be happy to turn any piece of music you’ve always loved into a great brass band version.